Saturday the 14th, dozens of teams will come to Kent to race for medals and bragging rights. The races begin at 8:30 am and finals are after 3 pm. Nearly 30 teams are coming in from all over Canada, Washington & Oregon, along with individual paddlers from California and across the nation! There will be numerous local Puget Sound teams racing for the honors. 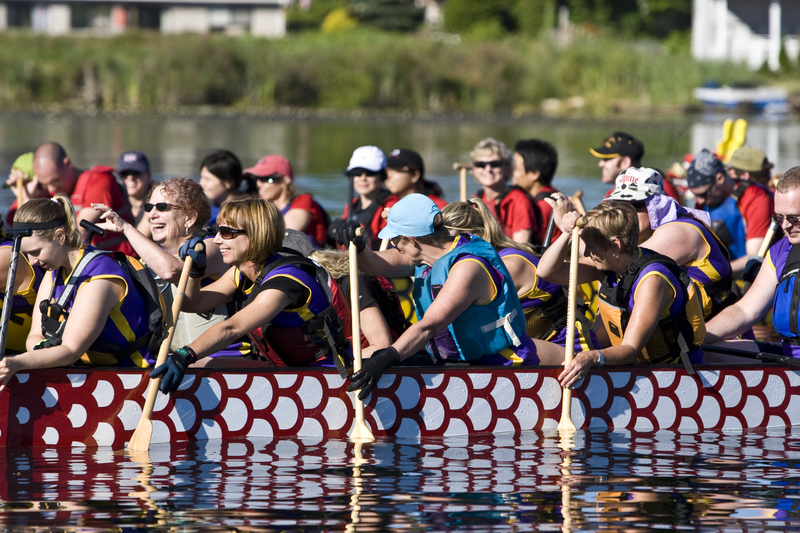 The Kent Lions and the Kent Dragon Boat Association have spent all year planning for this event; it is the largest Dragon Boat Race in the State of Washington. The beautiful venue of Lake Meridian provides the perfect location for this style of race while giving the team members and public an outstanding view. This race benefits the Kent Lions Club and Foundation. There will be food, vendors, and displays for all ages.